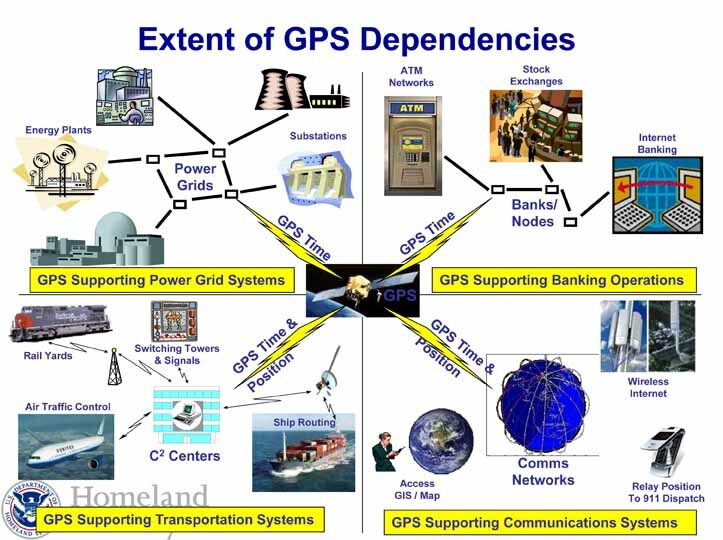 The GPS program is setting a new space-system standard for cyberdefense, and now the federal government is creating a framework to help operators of critical infrastructure that largely rely on GPS to do the same. British Petroleum told CNBC earlier this year that its systems are attacked more than 50,000 times a day. The Industrial Control Systems Cyber Emergency Response Team said this summer that there were more cyber incidents the first half of fiscal year 2013 than in all of fiscal 2012. The National Nuclear Security Administration within the Department of Energy gets up to 10 million attacks every 24 hours, according to U.S. News and World Report. Gen. Ken Alexander, the head of the National Security Agency and U.S. Cyber Command told the House Armed Services Committee in March that the Defense Department fends off more than 10 million attacks daily. A successful attack on the GPS system could be particularly damaging because so many critical networks rely on its signals and on each other. Such interdependencies in the financial sector contributed to the collapse of the subprime mortgage market and crippled seemingly unrelated banks, said Jason Healey, director of the Cyber Statecraft Initiative at the Atlantic Council in Washington, D.C. A GPS failure could send a similar shock through power, safety, and communications networks and all the organizations that depend on them, he suggested. To help protect the GPS system, the U.S. Department of Defense (DoD) has made a special effort to beef up cyber defense in the new GPS ground segment. The Next Generation Operational Control System or OCX is a complete replacement of the old AEP or Architecture Evolution Plan control system with new software and hardware all around. “We are not reusing any of AEP with the exception, maybe, of the ground antennas — and we’re even having to upgrade the ground antennas to meet security requirements,” said Steve Moran, director of GPS Mission Solutions at OCX contractor Raytheon. Those antennas, at 17 monitoring stations scattered around the globe, will have their electronics updated. All of the equipment at the GPS Master Control Station (MCS) at Schriever Air Force Base near Colorado Springs, Colorado, and at the Alternate Master Control Station at Vandenberg Air Force Base in Lompoc, California, will be refreshed. The entire system is set to come on line in 2016. Redundancy is built into the new architecture, as are checks and 24/7 monitoring to ensure that GPS spacecraft receive the correct commands from OCX uplinks. The control signals to the satellites are encrypted and, should anything happen to the Master Control Station, the alternate MCS is ready to replace it immediately, said Moran. “All the databases and everything are duplicated. It is basically a warm backup, the only delay is the time it takes to get operators from Schriever to Vandenberg,” said Moran. As for the software at the heart of the system, the OCX team is trained in encryption and in the best coding practices as determined by both DoD and computer security organizations such as the SANS Institute. In fact, said Mike Worden, a systems security engineer with the OCX program, the software architecture and implementation of DoD information assurance standards set OCX apart. “The biggest challenge is integrating good security at all levels,” he said. “OCX is going to be sharing information on a much broader scale than what has happened in the past, and, so, what that means is we have to make sure there are protections for the networks, things like firewalls to protect your network connections. The OCX program is using commercial and open-source software like Linux, to keep costs in line, said Matthew Gilligan, OCX program manager and vice president in the Raytheon Intelligence, Information and Services business. The coding team, however, is refactoring — that is, editing and updating this software as necessary to address the latest threats and erase the imprint of old, less-than-secure coding habits. The software incorporates forensics elements, alerts, intrusion detection, and a receipts-based approach to verifying interactions, Gilligan and Worden told Inside GNSS. That level of security is also being pushed out to the sites with which OCX communicates — improving their security. This gives those sites “a degree of trust that the information that they get from the GPS control segment is accurate and complete,” said Worden. Although OCX does connect with a number of other systems, it does so only through DoD’s networks. The OCX team finished integrating the majority of the IA software into the overall program software in July. To accelerate work on the IA code, the work had been spun off at the end of 2011. Now some 70 percent of the IA coding is done and integrated into the baseline, that is, into the overall program. And the work will continue as the threat evolves, said Moran. These efforts, he said, will give GPS users a particular level of confidence that the GPS signals are trustworthy. But cybersecurity is not just for the GPS program. GPS users need to implement security measures too, experts agree, especially those managing elements of the nation’s critical infrastructure. To help organizations improve their defenses the National Institute of Standards and Technology released on October 22 a cybersecurity framework outlining a methodical approach to cybersecurity and a long list of standards and best practices. Improving Critical Infrastructure Cybersecurity, which was developed with input from industry, “provides guidance to an organization on managing cybersecurity risk” with an objective of encouraging organizations to consider cybersecurity risk as a priority similar to financial, safety, and operational risk. The core of the NIST framework, like the OCX program, includes identifying risks and resources, protecting systems, detecting cyber-intrusions, responding to attacks including containing their impact and recovering from cyberbreak-ins. The document lays out a list of potential action areas with notes on existing standards and resources that can help those trying to develop or improve a cybersecurity program. It also has guidelines for organizations to measure their progress. NIST will be taking comments on the framework until December 13. It will likely issue the final version of the framework in February, Sutherland said.